"Well I must say a big thanks to Jimmy Anderson for donating his test match shirt to the Life for Lewis appeal and an even bigger thank you to David Liddle for winning my auction for the signed shirt. Total amount came to a whopping £2.812.50,absolutely fantastic." The words of Shaun Trenoweth. “Absolutely unbelievable, we are all truly humbled and very overwhelmed. 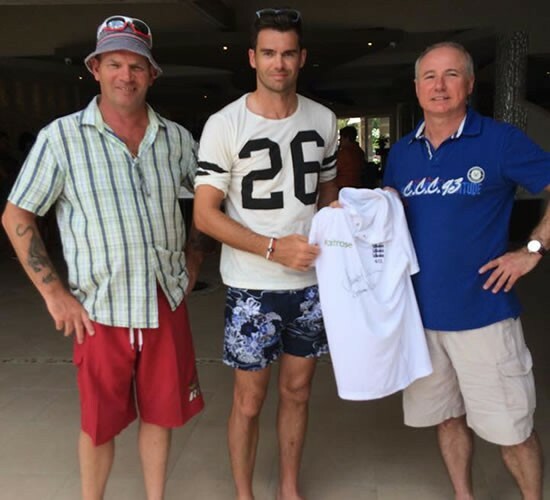 Thank you so much to Shaun Trenoweth, David Liddle and Jimmy Anderson."